Egypt says archaeologists have discovered a "massive" ancient building in the town of Mit Rahina, 12 miles, south of Cairo. See photos. 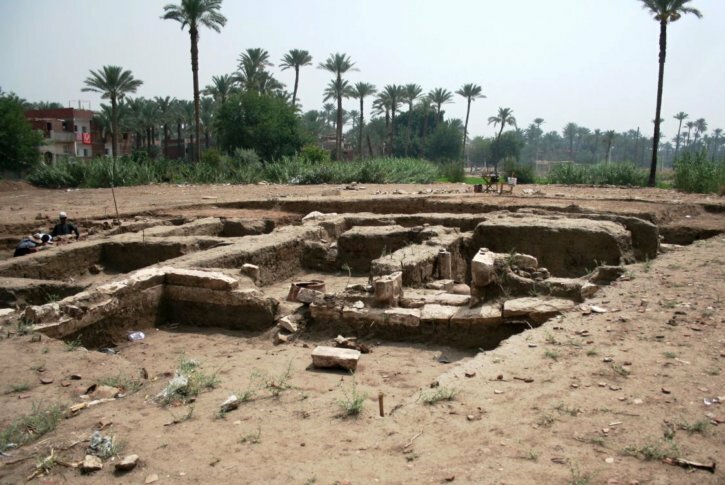 CAIRO (AP) — Egypt says archaeologists have discovered a “massive” ancient building in the town of Mit Rahina, 20 kilometers, or 12 miles, south of Cairo. The Antiquities Ministry says Tuesday archaeologists also uncovered an attached building that includes a large Roman bath and a chamber likely for religious rituals. Mostafa Waziri, secretary general of the Supreme Council of Antiquities, says the building is likely part of the residential block of the area, which was the ancient Egyptian capital of Memphis.